Chopin, N., Hargis, K., & McKenzie, M. (2018). 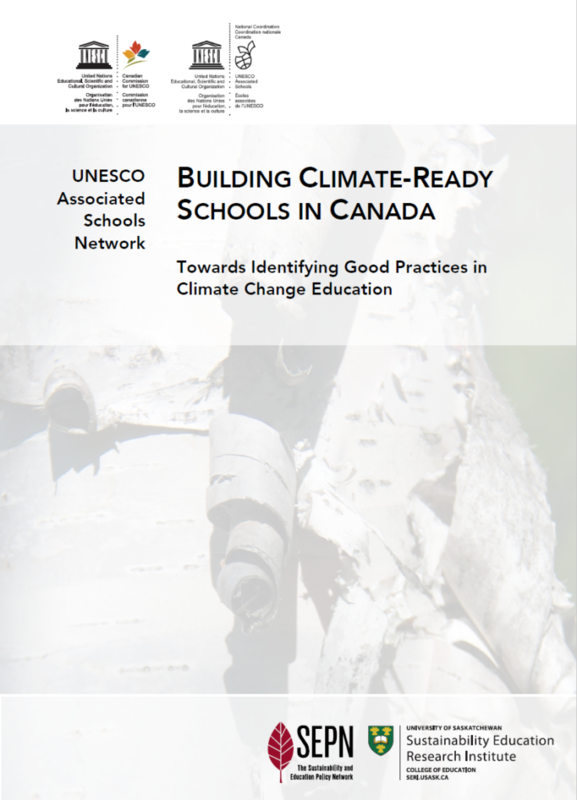 Building Climate-Ready Schools in Canada: Towards Identifying Good Practices in Climate Change Education. Sustainability and Education Policy Network, University of Saskatchewan, Saskatoon, Canada. Click on the image below to view a pdf version of the entire report (55 pages, 29 MB download).